Different types of fungi exist in the ecosystem as saprophytes. The fungi include molds, mushrooms and other spore-producing organisms. These species of organisms usually multiply through asexual reproduction where no fusion of gametes is involved. Ulocladium is one example of a pathogenic fungus that exhibits saprophytic characteristics. This article aims at reviewing the Ulocladium mold, the health hazards it causes and the ways in which it can be treated. You can find Ulocladium on a number of substrates, including plants, soil, textiles, wood, paper, paint and tapestries.Ulocladium also grows on water-damaged building material such as gypsum board (drywall). 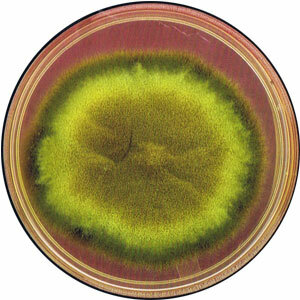 Ulocladium colonies can be brown, grey or black, with a texture that resembles suede, cotton or wool. 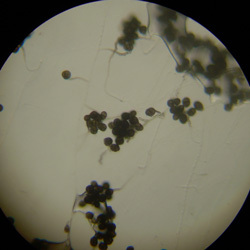 Ulocladium grows moderately fast (reaching maturity within 5 days) and typically disperses its spores by air. The Ulocladium mold is a brown, grey or black mold that grows on plants, soil, wood, paper paint, and tapestries. It also grows on water-damaged building materials, wet carpets, and generally wet surfaces. It has a texture like that of cotton wool and hence can be dispersed through the air with the help of wind. For this reason, the Ulocladium mold can exist in the atmosphere in and around your house. This mold grows rapidly and takes about five days to attain maturity and produce spores. This mold best thrives where there is a lot of water or moisture. Although scientific studies have not yet proved its ability to produce mycotoxins, this mold is still a threat to human life. The presence of the Ulocladium mold in the house is usually an indication that there is water damage. This is because of the requirement of large amounts of water for its growth. One major fact about this mold is that it requires a lot of water to grow. Unlike other molds that just need some humidity, this fungus needs a flood-like amount. Moreover, it causes adverse health effects once inhaled or ingested although some of its species have not been proved to be pathogenic. According to reports, this mold causes the Type 1 allergy. A number of deaths have also been reported and linked to the Ulocladium mold. 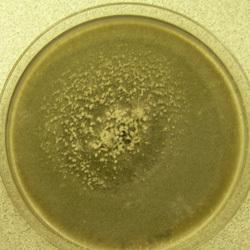 Ulocladium mold is a genus that contains two known species of the same mold. They include Ulocladium chartarum species which is most commonly found indoors indicating that there is water damage. It is a known cause of the hay fever allergy. Ulocladium botrytis is another species that has no known pathogenic characteristics. What are Ulocladium health effects? Just like other fungi cause problems to the health of human beings, the Ulocladium mold also causes health effects. Since it is fluffy in nature, it is usually found in the air apart from the surface of growth. When in the house, one can easily inhale the infected air or even ingest it through food. Once inside the body of humans, the respiratory system is always the first and major part to be affected. It is a major allergen causing allergic reactions like asthma, hay fever, difficulty in breathing and many other effects. In this case, people with very strong immune systems are usually safer compared to those with weakened immune systems. In addition, this pathogenic mold causes a runny nose, headaches, sneezing, and sinus congestion, itchy and wet eyes. Studies have revealed that people with respiratory conditions such as asthma are the ones most affected by such molds. For patients with a weakened immune system, the Ulocladium mold causes skin infections as well as eye infections. Such patients include those undergoing chemotherapy, those that have undergone organ transplants, those suffering from HIV/AIDS and those taking certain types of medications. 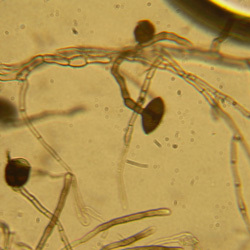 Extreme conditions of this pathogenic fungus may lead to death. Apart from health effects on human bodies, the Ulocladium mold can cause a lot of damage to your home. 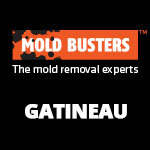 This mold destroys wood and surfaces like walls and doors. You can end up spending a lot of money to remove them and the surfaces may sometimes need repair. In more severe cases, the items end up being replaced since the mold eats them up. Structural damage is the most common side effect that this mold causes. The worst situation happens when the Ulocladium mold is growing in the house together with other types of molds like Bipolaris. The fungus also discolors the surfaces it has invaded. In this case, surfaces that were once clear from dirt usually turn into brown, green or black patches. How to treat Ulocladium mold properly? This fungus exists in the ecosystem and there are no known ways of completely getting rid of it. For this reason, treating it remains the second best option that people can choose. 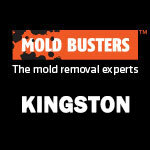 Mold Busters company is one dedicated organization that specializes in fighting disease-causing molds. It uses special and modern technology to test the presence of mold in the air and on surfaces before removing it. Mold Busters tests the presence of mold through the use of air sampling and surface sampling techniques among several others. 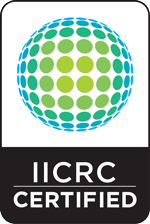 Once a sample is taken from the area of growth, it is taken to the laboratory for testing. After establishing that the Ulocladium mold is present, Mold Busters immediately start the process of removing it from the affected areas. 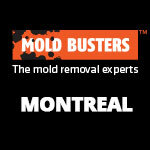 This company offers services like removing the mold from the air and surfaces. It also destroys molds through the use of antimicrobial chemicals. Prevention services are also offered which include dehumidification, cleaning of surfaces, and drying up the air and wet surfaces to prevent further regeneration of spores. In conclusion, the Ulocladium mold can be a nuisance in your home and should be eliminated before negative effects are caused. 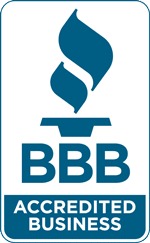 The best method of eradicating the fungus is by contacting Mold Busters and seeking their services. They offer very professional services at very affordable costs that come with guaranteed satisfactory results. Removing the mold can save you and your family lots of dollars that you may probably spend in the hospital for treatment of respiratory complications. You should also be checking the plumbing system of your house frequently so as to prevent the growth of the fungus in case of a water damage. Worried about Ulocladium in your home? 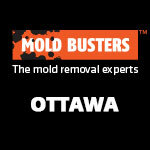 Schedule a mold test with Mold Busters today!